I didn’t really know what to expect when visiting the Glencairn Crystal Design Studio/factory, to be honest. I got an email asking if I wanted to come down and have a look round, and since I am fascinated by everything to do with whisky (barley, malting, barrels and more) I thought it would be really interesting. Glencairn Crystal was founded 30 years ago by Raymond Davidson and has become Scotland’s number one supplier and designer of glasses, bottles, decanters and premium glass products in Scotland. Raymond initially thought of the idea of a glass specifically for whisky in the late 8os, but it took a wee bit longer for this to come to fruition. Check out their business here. I’ve met the founder, Raymond Davidson, many times because he used to pop into the Scotch Whisky Experience quite often, and I used to make him his favourite cocktail (a black magic Scotch). He is always thought of as Mr Glencairn, and the Glencairn whisky glass is what most people think of when the name is mentioned, so we will tackle this first. As I mentioned, the Glencairn whisky glass was an idea Raymond had in the late 80s. At the time, Glencairn were trying to engage whisky companies with the concept of developing bespoke packaging for whisky. Raymond saw whisky as one of the major driving forces for his company. 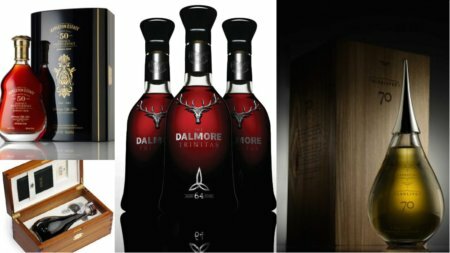 At the time, the majority of whisky companies were using standard bottles for even some of their finest whisky, which sounds bizarre today, with such things as the Dalmore Trinitas (amongst others) on the market. Clearly, with all the different ideas Raymond had regarding glass and the whisky industry, one was bound to get put on the back burner for a while, so the Glencairn glass itself wasn’t really developed until the late 90s. 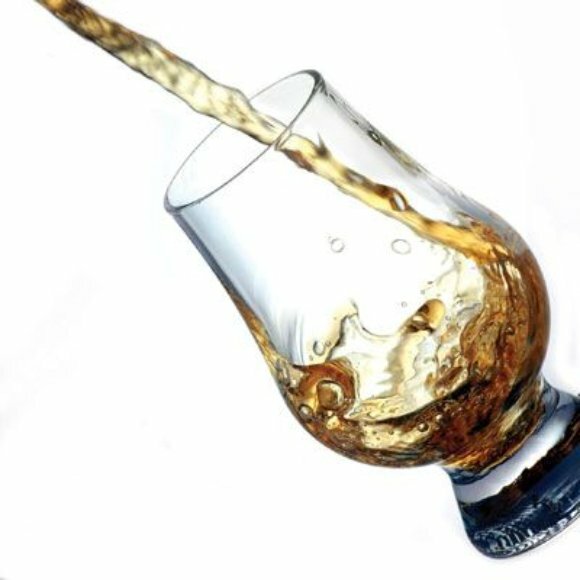 It was developed in conjunction with some of the Master Blenders in the industry, and the concept was to make the ultimate nosing and tasting glass for whisky. Until then, most bars would use a tumbler, cognac glass or copita, so it was quite strange that one of the oldest alcoholic drinks didn’t have its own specific glassware. Raymond spotted this, thankfully! Now it has become the glass synonymous with enjoying whisky. 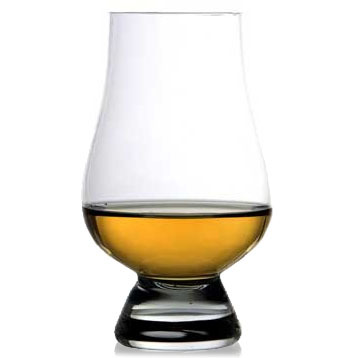 I have to say I really like the Glencairn glass for a few reasons. It is an excellent nosing and tasting glass. They are relatively sturdy (you have no idea how many Riedel glasses have been broken in my house) and due to its excellent sales in the UK & worldwide (they are aiming to hit 2 million sales this year), I can enjoy whisky from an appropriate glass wherever I am. And that is important. The reason it’s important, is that if you try really trying to nose, taste and perceive whisky in a tumbler, it is a waste of time. The aroma is lost, and the aroma is a huge part of the experience. As I mentioned, when Glencairn started, they were trying to engage whisky companies regarding bottle/decanter design. This is now a major part of their business, and it’s quite funny, because people don’t really realise it. People just think of the glasses, but actually Glencairn do all sorts of bottle designs and decanter designs, and that’s what Andy Davidson (Raymond’s son) and I spent most of our time doing when I was down at the workshop. Just looking at all the bottle designs. Looking at some of the craziest ideas, and some of the most challenging. It really is artwork, and that’s why I had such a good time. Andy was a truly hospitable chap, and I had a really grand time. To give you an idea, they will be sent a bottle concept, and then they will make this concept real using their glass expertise. This could mean in some cases, completely redesigning the initial project that is sent to them. Below is a selection of some of my favourite bottles they have designed. If any of you have a favourite bottle design, comment below. One last thing. Buy Glencairn glasses. Support a Scottish company doing good work. You know it makes sense. This entry was posted	on Friday, August 31st, 2012 at 2:39 pm	and is filed under Musings. You can follow any responses to this entry through the RSS 2.0 feed. Responses are currently closed, but you can trackback from your own site.